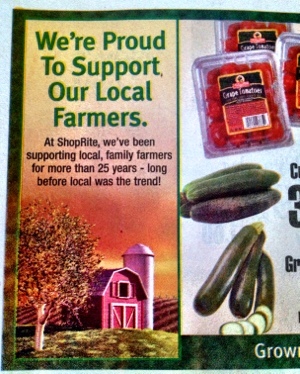 While having a cup of coffee and reading the paper this morning (I’m officially my parents) I noticed an ad in the Shop Rite circular. Another area grocery store has redeemed itself! 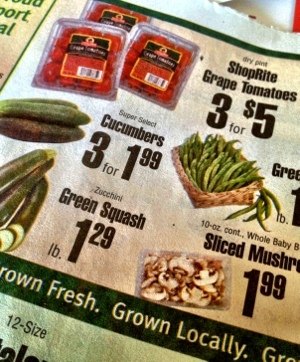 Local produce and a great price! Thank you, Shop Rite! Now I think I need to head down to my neighborhood Safeway and find out why they don’t offer (or at least advertise) more local options. Safeway needs to get it togetha! Most def, Kbug! We need to go talk to the manager.